Southern Loggin’ Times’ November issue spotlights North Carolina’s Randy Mickey, who has revamped his thinning crew with a processor head for more precise merchandising, leading to higher quality and production yields. 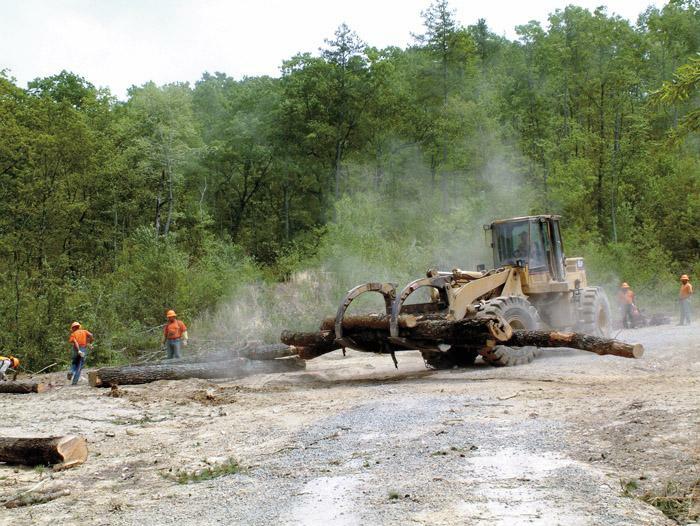 Also featured are Alabama’s John Betts, who works in helicopter logging to retrieve timber in out-of-the-way places, and Mississippi’s Givens Logging, where evenings shifts have increased production. 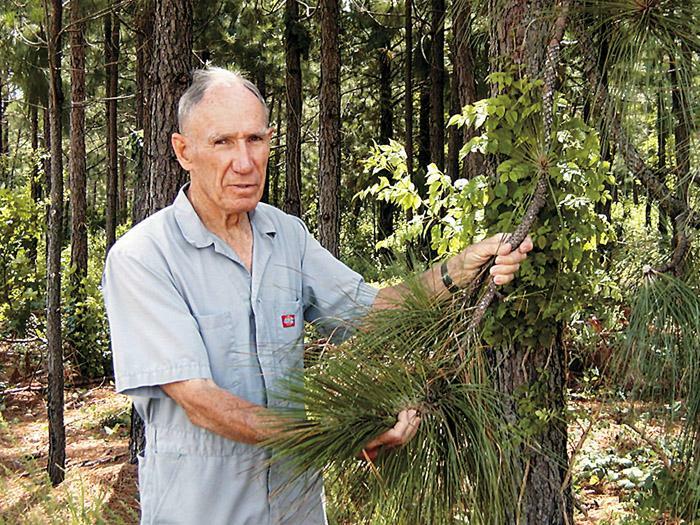 North Carolina landowner Guy Troy is highlighted for having a conservation easement that works. An article discusses how President Bush honored ALC members at a Maine campaign rally in conjunction with the ALC’s 10th annual meeting. Randolph County, NC landowner Guy Troy came by his land the old fashioned way—he inherited it. But the 34-year Army veteran has crafted an ownership and succession strategy that is anything but traditional. 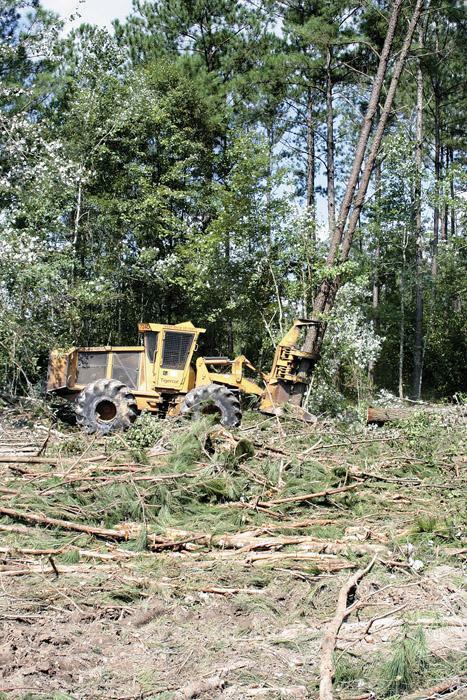 Diversified logger/businessman Wally Givens, 41, of Givens Logging Inc., has built his harvesting and trucking operations from the ground up, and now runs a progressive clear-cut crew with an evening shift. 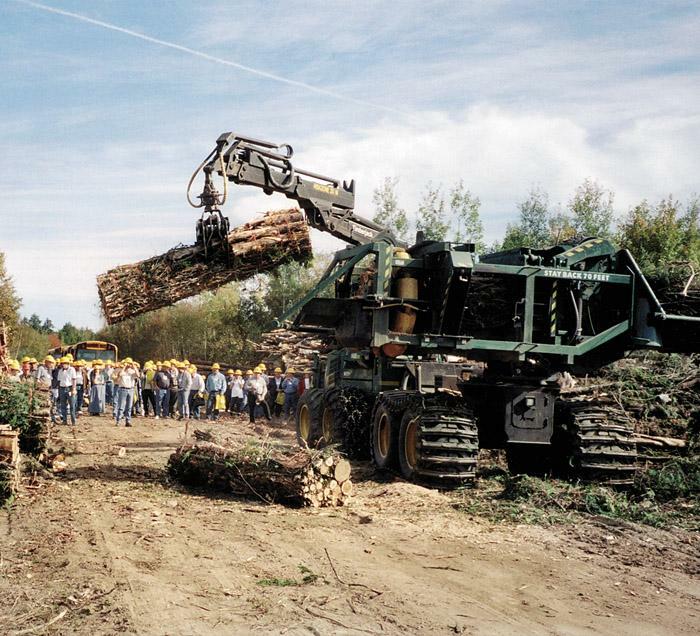 The Weyerhaeuser contractor started work after high school in the oil fields, then gradually came to logging: first pulpwooding and short logging, then moving into treelength logging. Most of those connected with the American Loggers Council surmised that ALC’s 10th annual meeting would be special, but they had no idea the President would show up. George W. Bush didn’t actually get to the meeting, but he got close, staging a campaign rally at the Bangor airport not far from the meeting site. 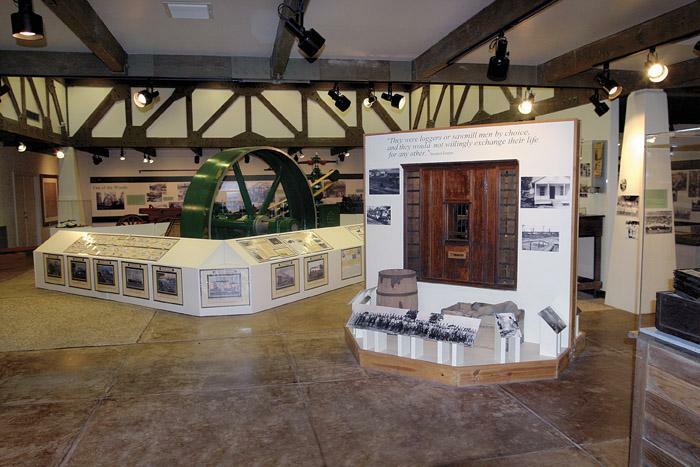 The Texas Forestry Museum opened in Lufkin, Tex. 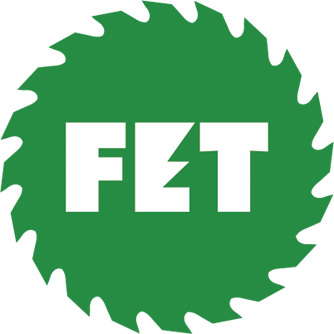 in 1976 and proudly preserves the legacy of the forest products industry in the east Texas Pineywoods region. Inside the building are exhibits and priceless collections concerning the past, present and future of the timber industry. 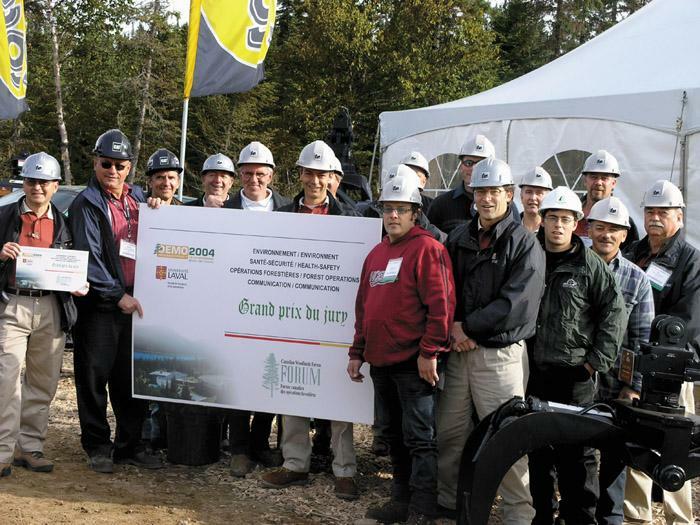 Demo Inter­na­tional 2004, which drew more than 10,000 to the Mont­morency Forest north of Quebec City in mid September, was a success for most exhibitors. But it was particularly notable for some, including Rotobec, Inc., a manufacturer of attachments and loaders. Timberwolf’s TW-5 Log Splitter delivers 25 tons of force with a 10 second cycle time and handles large, hard-to-split logs with ease. 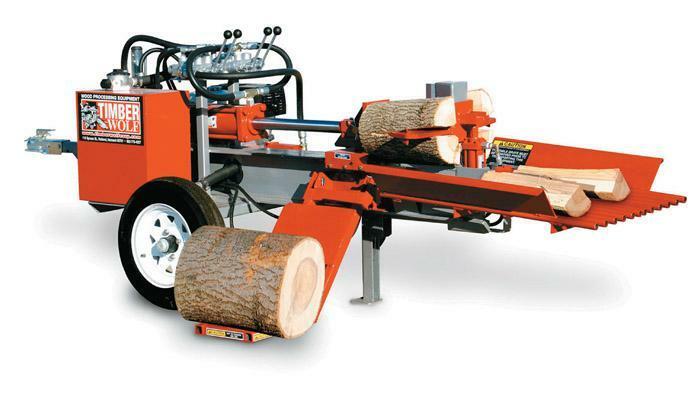 The company’s most popular log splitter, the TW-5 is the perfect match for woodlot owners, arborists and firewood processors.